House rental in Chianti region. 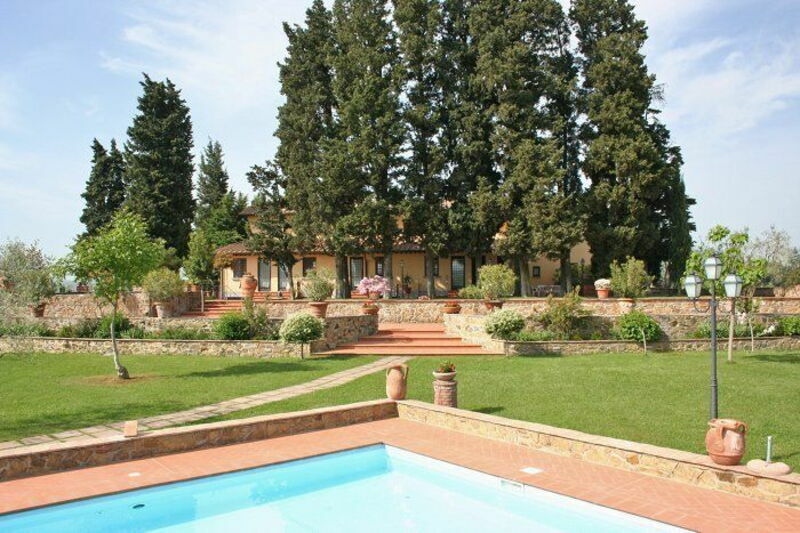 Beautiful complex recently restored situated in quiet and panoramic location on the Chianti hills surrounding Florence. The house rental comprises 3 comfortable apartments (one is occupied by the owners), nicely furnished in a Tuscan and Chianti style. Distances: the small village of Ginestra Fiorentina with all kinds of shops 3 km, Florence 25 km, Pisa 45 km. The free-highway to Florence, Pisa and Livorno is in a-few-minute drive and allows easy access to the most famous cities in Tuscany. At guests’ disposal: large and well equipped garden, big irregular-shaped shared swimming-pool (length 25 m – maximum depth 2,4 m – open from 01/05 to 30/09) with a small bridge passing over, shared barbecue. The use of the pool is to be shared with the property owners and possible guests of theirs. All of the apartments are provided with a private and fully equipped outdoor area. Laundry room with shared washing-machine and ironing facilities. Parking within the grounds. Extra services: baby bed available (€ 40,- / per week to be paid on the spot). Maid service available by arrangement (payment on the spot). Ground floor (access via 3 steps): living-room (TV-sat.) with double sofa-bed, kitchen corner (freezer, microwave) and dining area, toilet, double bedroom, double bedroom with extra sofa-bed, bathroom with shower.